Guys Guys....buy the phone if u really like it, bragging is waste of time. At first look, after 2 days of use, the battery life with ICS is less than 2.3. I am not a power user. for example at job I don't use my phone for 8 hours its only is stand by and without wifi, gps and 3g. with 2.3 the battery lost 2-3% and now with ICS loose 5%. The three small leds on bottom of phone never light on after update, shame because I like its. jdmpait, 30 Oct 2012Panasonic through a press lets you know that today the update to ICS will be available for you... morethough still don't have any long term exp. regarding the battery life with ics, i enjoy this phone, which comes ridiculously cheap nowadays despite it's almost new on the market.. you need to tolerate a few compromises of course, but for its price tag, i forgive these. Panasonic through a press lets you know that today the update to ICS will be available for your smartphone Eluga! The upgrade will have a weight of about 150 MB and will be available through the application ELUGA ICS Update which will be released shortly on Google Play Store. 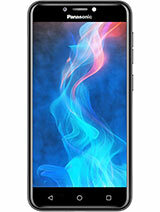 well was going to be my next phone. but i didnt get it. because of no flash. shame on you. but still looks awesome with great specs. and nice clean lines. why is there no review? is this phone too crappy to get a review? That would also be nice to know! 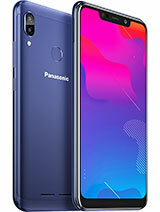 Which countries can we find panasonic mobile phones is it also available in zimbabwe??? When i had this phone it was love at first sight but now it is toleration more than anything else. For starters like most users will know, the battery very poor - you will charge this every night just to get going, the storage is poor, voice levels are poor (have to keep it on silent when out and about or else i would miss calls)and the promised ICS summer update has failed to materialise. Sometimes my phone just restarts without warning which can be annoying. The Eluga Power was supposed to be out this summer but wisely, Panasonic has held back after reading poor reviews. 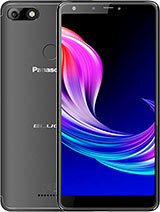 I just hope they make serious improvements to the Eluga Power like: more storage, improved battery life, clearer sound (even better HD sound) and customised ICS not stock. 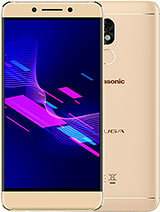 I now this is Panasonic first foray into the Smartphone industry and i will hope that if they decide to update the Eluga in the near future, they taken into consideration the failings of the current phone. At the moment, i will get rid of my Eluga and go for something else. I have used for three days. It has two major flaws, in fact a major and a critical one. 1. the sound is very weak. In noisy environments is very difficult to understand what the other party is saying. Also, the ringer is very difficult to hear. 2. battery life is a joke. Less than 1 day. With minimal use (wifi off, data connection off, less than 15 minutes of calls) it empties the battery in about 16-18 hours. Today it lasted since 9 am to 10 pm. True, with about 60 minutes of calls. 1150mAh battery?! u must be kidding! well,i wanted to love this phone but it just crapped out on me today,media and phone calls will not play through speaker.loudspeaker during calls will though,huh?i am sending it back to seller to repair because there is not a panasonic repair place here in the states to honor warranty.NOT ONE.man.absolutely the most beautiful phone i have ever owned,but flawed. Awsome. Just awsome. Panasonic rules. no match for class of Display. They need to jusy add a card slot and 32/64 gb inner memory alongwith a flash and it will ruin the all. 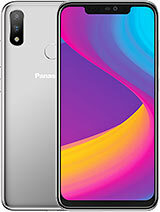 Panasonic, change your name with Dashing Panasonic. Double the battery too. 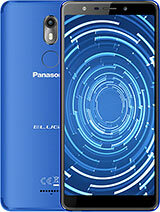 Total of 205 user reviews and opinions for Panasonic Eluga DL1.